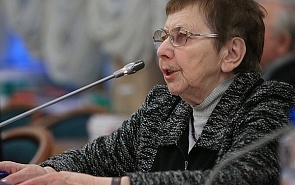 Alla Yazkova (1930-2016) - Doctor of History, head, Department of Black Sea and Mediterranean Studies, Institute of Europe, Russian Academy of Sciences, professor. Russia is the only power on the Black Sea standing up against the NATO countries’ armed forces. In addition to US military bases in Romania and Bulgaria, Russia is also worried about the ambiguous policies of Turkey, which has the greatest military capabilities in the Black Sea. The recent early parliamentary elections in Serbia brought victory to the ruling coalition, Serbia Is Winning, pivoting on the Serbian Progressive Party (SPP) with the support of Prime Minister Aleksandar Vučić and President Tomislav Nicolić. The coalition won 48% of votes or 131 out of 250 seats in parliament, a result which could be seen as positive, if we disregard the fact that the SPP won 158 seats two years ago and still had to consolidate its positions. Moreover, the electorate returned the Serbian Radical Party with 8 percent of the vote. Together with the Dveri movement and the Democratic Party sharing a dim view of Serbia-EU rapprochement (an estimated 30 seats in parliament) this party could offer serious resistance to the ruling center right coalition.